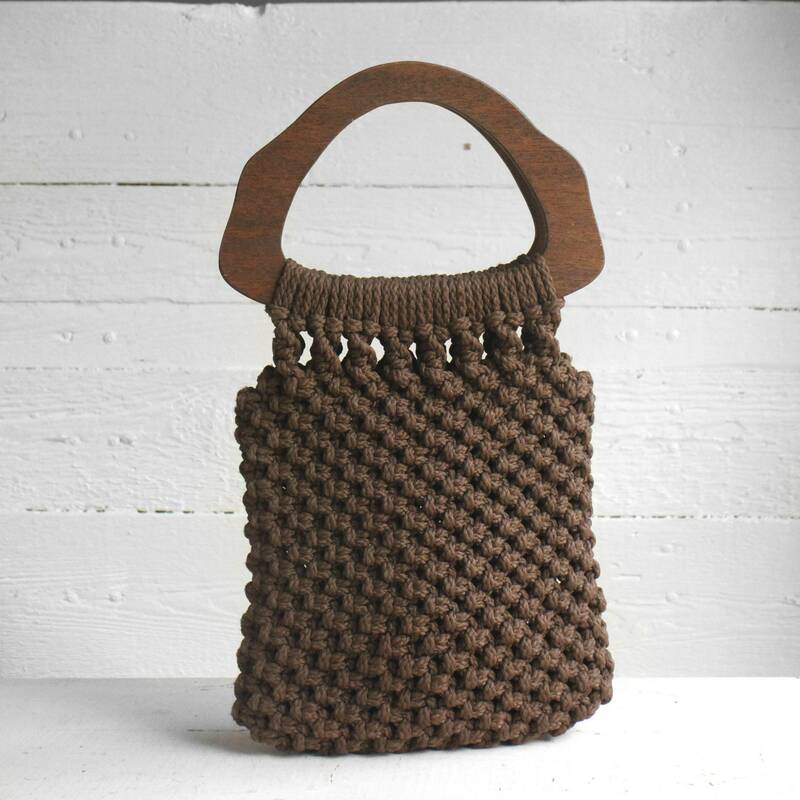 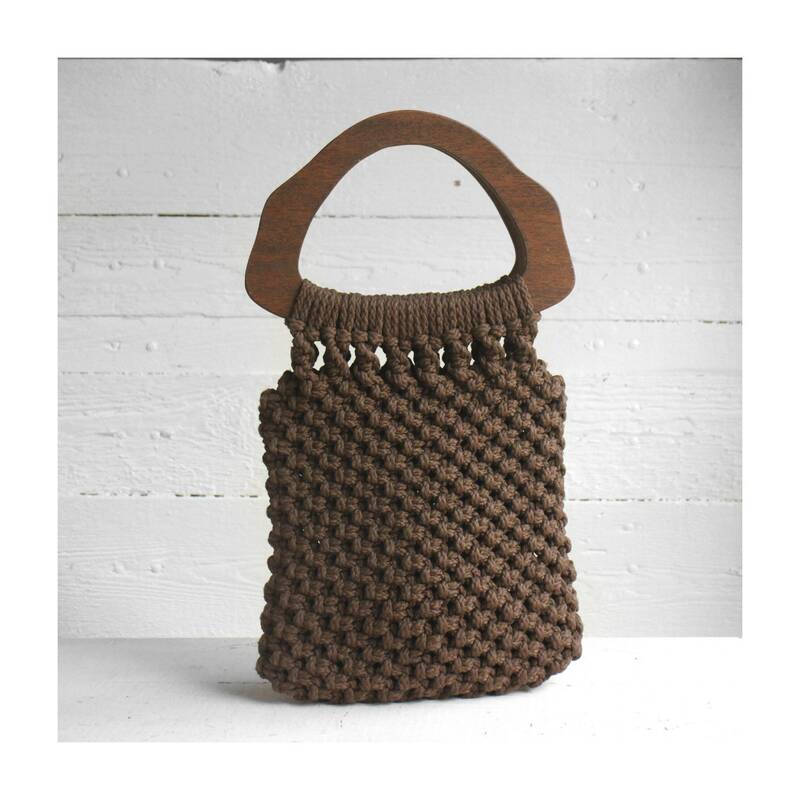 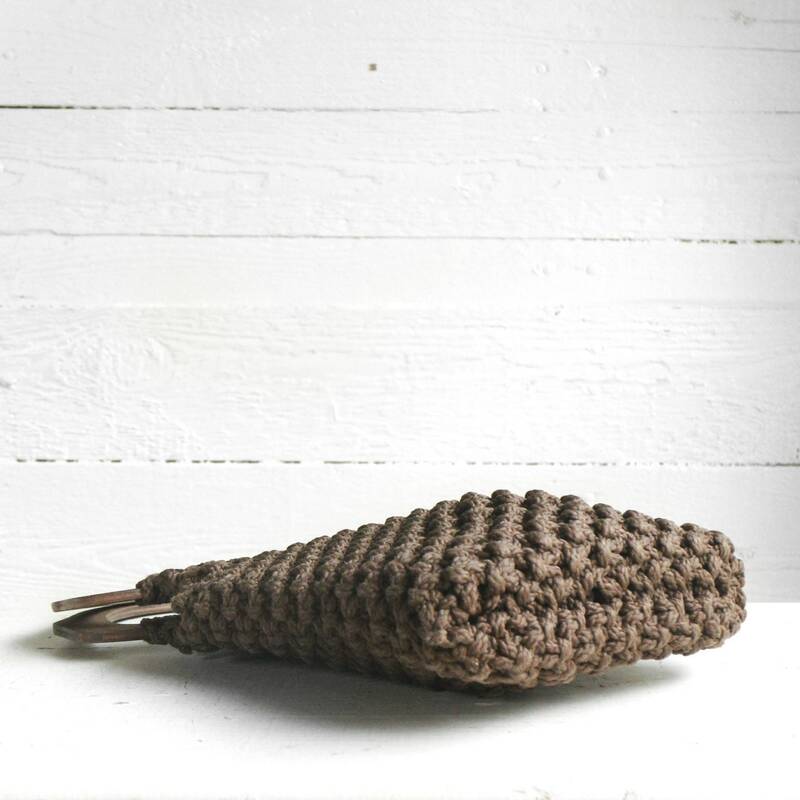 The macrame handbag comes in a dark brown, tightly woven macrame with wood top handle. 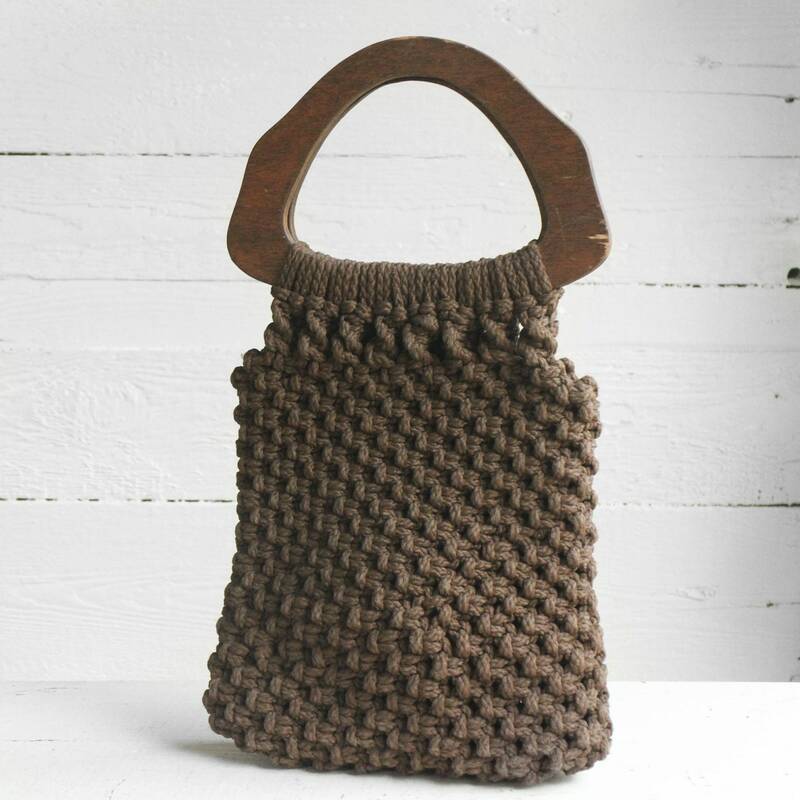 The bag is slim and stiffly structured. 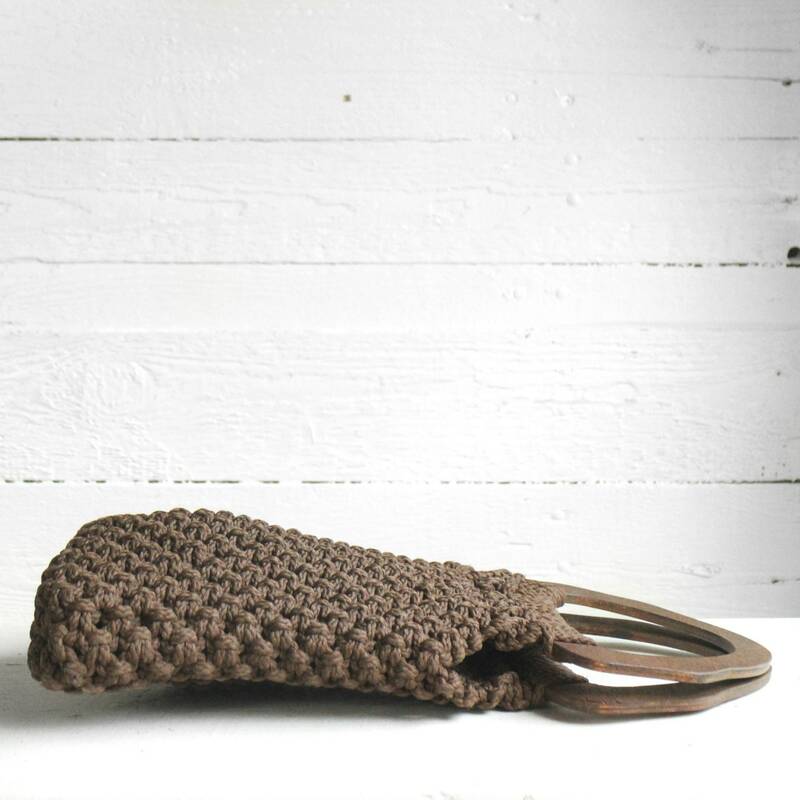 Good condition with minor wear.